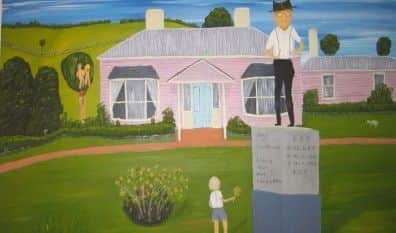 The Ern Malley poetry hoax...... the painter Sidney Nolan...... the artist enclave Heide...... the avant garde little magazine Comment. 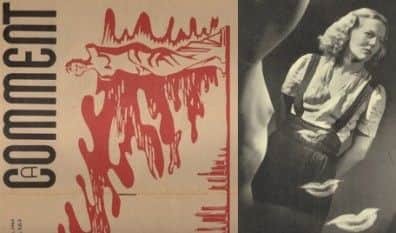 "aCOMMENT is a source of detailed information on these themes of Australian art and literature during World War 2, their genesis and their aftermath." 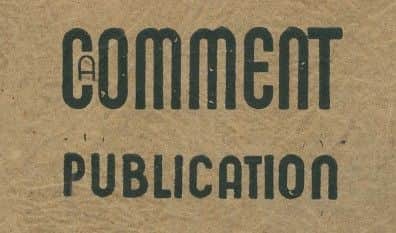 aCOMMENT went live on 21 July 2011, the centenary of the birth of Cecily Crozier who founded the little magazine Comment in 1940.
aCOMMENT is maintained by Comment Publications, whose director David Rainey is a free-lance curator and writer. In 2009 he co-curated the exhibition Ern Malley: The Hoax and Beyond at Heide Museum of Modern Art and wrote the catalogue essay. In the spirit of Cecily Crozier's little magazine A Comment seventy plus years ago, aCOMMENT will publish new writings from time to time. "Whilst being of interest to the casual reader, aCOMMENT publishes well-researched essays and articles to encourage informed debate on Malley, Nolan, Heide and Comment. It will develop into an increasingly useful research and reference tool."